Mid Ulster Council has passed a motion calling on Transport NI to install CCTV at all Park and Ride sites in the district. The motion was proposed by DUP Councillor Clement Cuthbertson and passed by a nationalist majority after an amendment made by Sinn Fein representative Dominic Molloy, requesting that the Roads Service first tackle urgent problems such as potholes and the lack of roads maintenance. 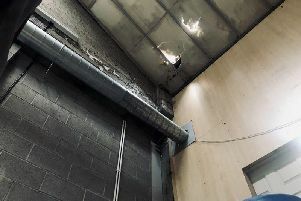 Councillors drew attention to thefts and anti-social behaviour at the Tamnamore, Castledawson and Ballygawley facilities. “Motorists will have to be reassured that their vehicles are safe at these facilities, and the only way to do this is to install CCTV”, said Councillor Cuthbertson. “These facilities are crucial to the local infrastructure, but the anti-social behaviour continues, with Tamnamore being used as a race track at nights”. he said. SDLP Councillor Martin Kearney supported the motion and called for toilet facilities to be added. Fellow Magherafelt representative Anne Forde of the DUP also asked for toilet facilities, in particular at the Castledawson facility. She complained about ‘party buses’ depositing large numbers of revellers at the site, who ran about drinking alcohol and urinating in full view of families using nearby restaurants. “I have seen private footage of this happening, but unfortunately the police are unable to prosecute.